The funny thing about comics, as a medium, is that it's so much larger than you might think. The American comics industry, from cape comics to autobio, is well known, as is manga, a Japanese import that went from niche to fad to powerhouse. But, did you know that comics ("komiks") are big in the Philippines, too? Judge Dredd is a British import, but it's just scratching the surface of European comics. Jacques Tardi is a living legend in France, but it somewhat obscure over here. Thanks to Fantagraphics and their aggressive reprint schedule, Jacques Tardi is finally getting a proper American catalog. 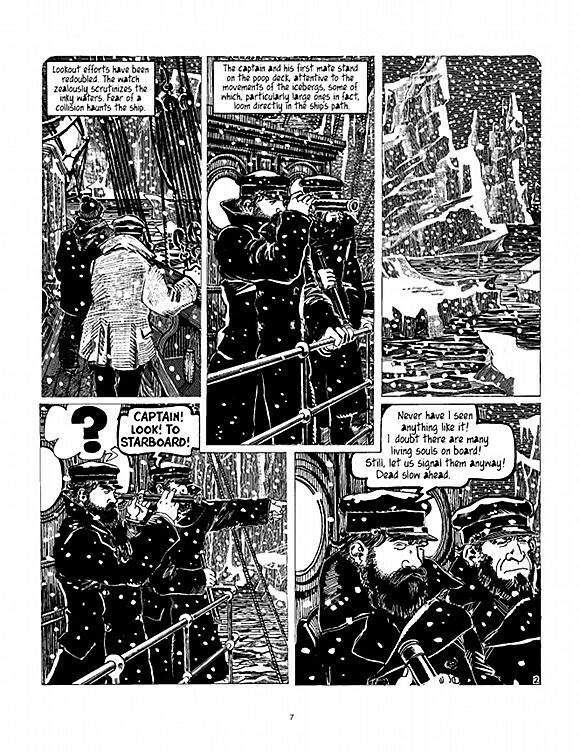 The latest Tardi release is The Arctic Marauder, "a graphic novel example of proto-'steampunk' science fiction - or perhaps more accurately, and to coin a spinoff genre, 'icepunk. 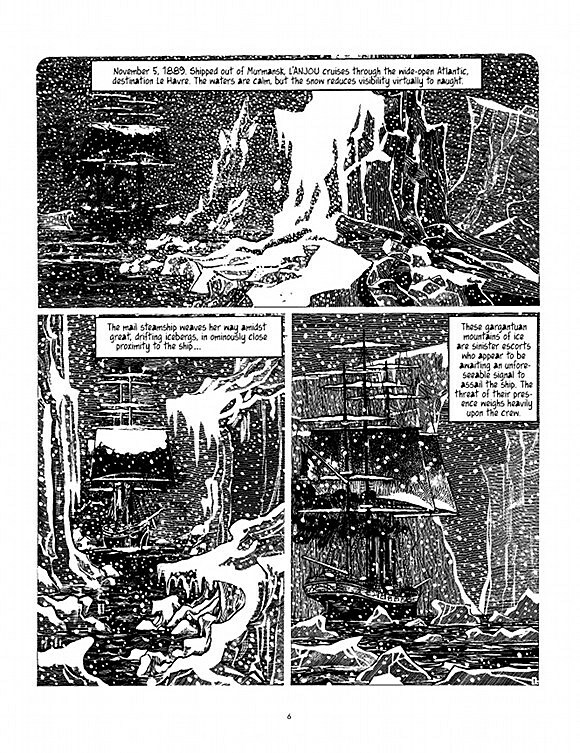 '"Tardi has been pumping out great comics since the '70s, but the amount of his work that has been translated is awfully small. Fantagraphics has published five of his works since 2009, with another three due later this year. Tardi works in a variety of genres, and has created everything from hard-hitting war stories to crime tales to period adventure tales. His work is aimed primarily at adults, though not in a particularly prurient or explicit way. While he doesn't shy away from violence or explicit sexual content, it's more in his presentation. 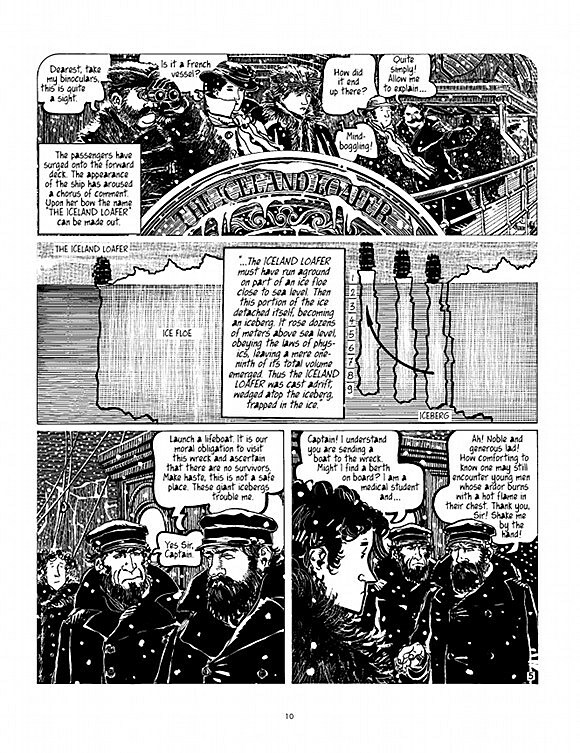 Tardi doesn't spell out every little detail, and his stories simply assume a certain level of attention and intelligence. 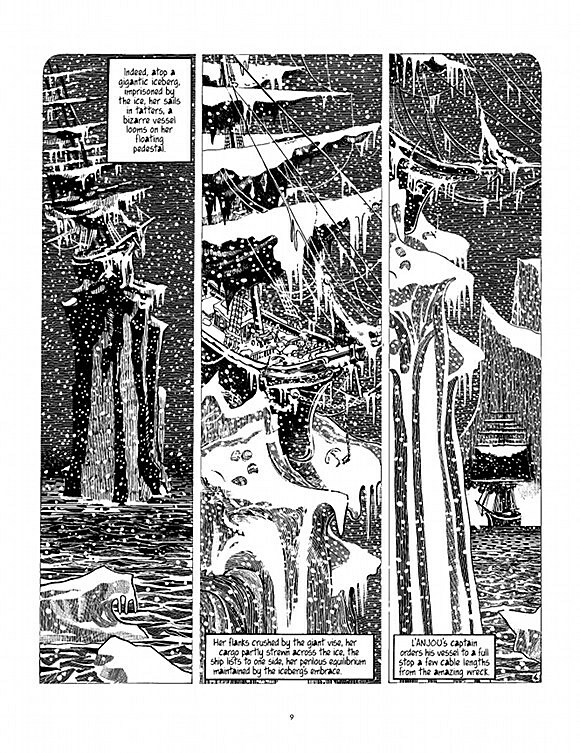 The Arctic Marauder, on shelves now, is a black and white tale that's sci-fi in something like the HG Wells mold. 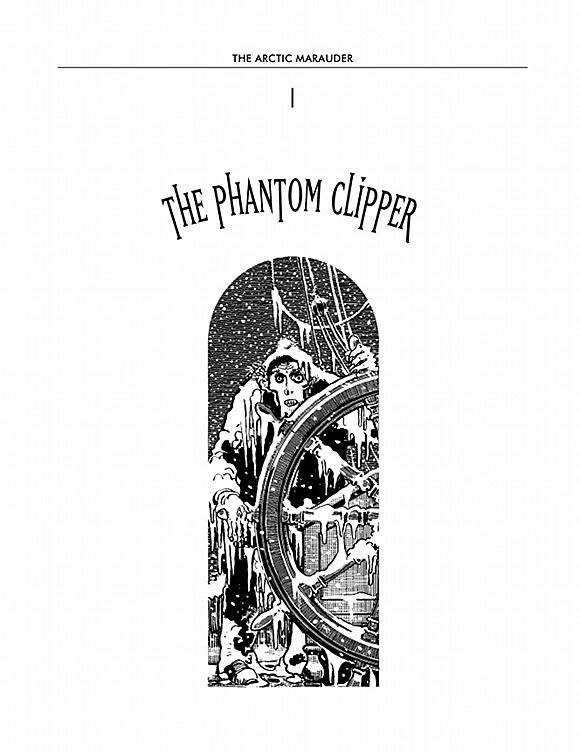 It's set in 1899, and features sailing ships, an unextraordinary protagonist stuck in an extraordinary situation, and all the snarky captions that you can shake a stick at. Over the course of the story, the (clearly not omniscient) narrator becomes increasingly surprised by the events, mocking the characters, the situation, and finally, you, dearest reader. The Arctic Marauder isn't what you think it is. I came into it with only the barest idea of what it would feature (high-sea antics, mystery, old-school diving suits), and while it fulfilled all those expectations, it went on to twist what I was expecting into new, and sometimes ugly, shapes. It's a pleasant surprise, really, and the twists and turns are not only believable, but genuinely interesting. It Was The War of the Trenches is similarly surprising. It begins as something like a traditional war comic, with a specific focus on the trials of World War I, before slipping into a series of brief vignettes. The identities of the soldiers become fluid, turning these soldiers we grow to love into blank slates. They begin to represent every soldier in every war, full of hope and anger and fear and happiness and sadness. It Was The War of the Trenches is a powerful book, made all the more so by how easily Tardi slips from scenario to scenario. 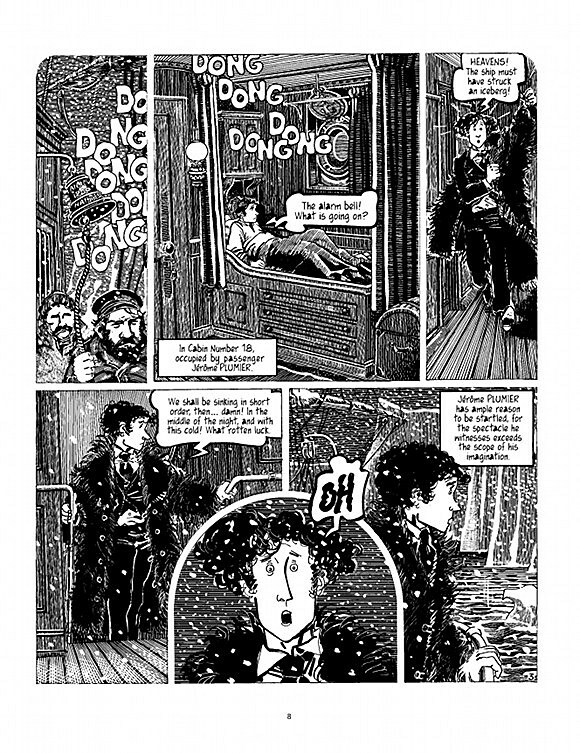 Tardi's other works, The Extraordinary Adventures of Adèle Blanc-Sec, West Coast Blues, You Are There and the soon-to-be-released Like A Sniper Lining Up His Shot are all worth your time. Get familiar with a legendary creator. 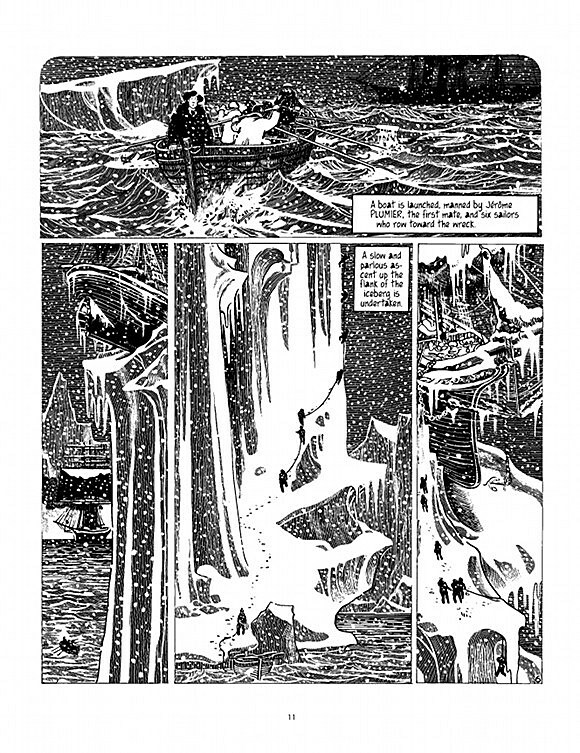 The Arctic Marauder is as good a place to begin as any, and his woodblock-ish style makes for interesting reading. You can check out a 7-page preview below.